Hope for food allergy sufferers? 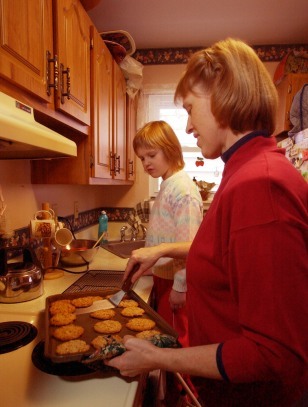 Sheila Smith takes a batch of butterscotch chip cookies from the pan as her daughter Rebecca watches. Rebecca is allergic to peanuts, so the household is peanut-free.